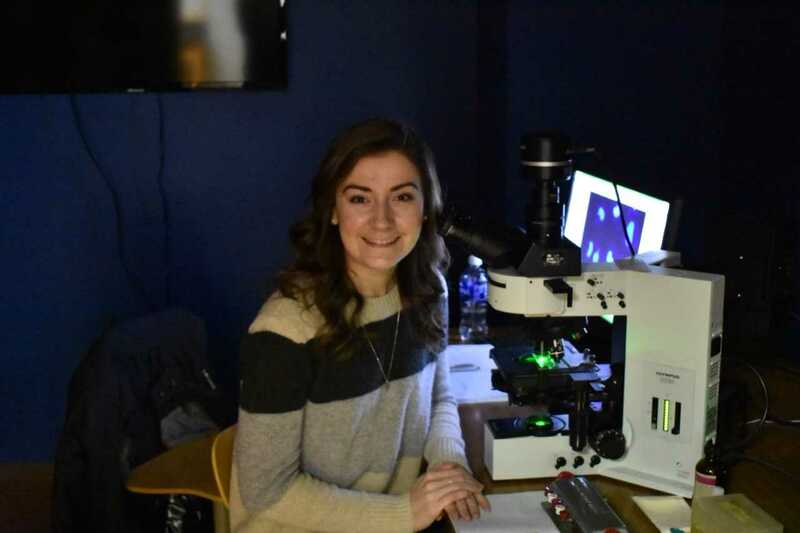 Senior biology major Abigail Arrigo received a research grant from the Drinko Center to research cellular centrosome duplication. Abigail was mentored by Dr. Karen Resendes. "I think independent research is a more challenging experience because you rely primarily on yourself and your own ability to complete an experiment and work out the issues. It is much more time consuming, but also very enjoyable. Though this research is less structured, I still feel like I have a lot of guidance thanks to the help from my adviser Dr. Resendes, as well as my lab mates who have taught me the skills necessary to do this research. What I love most about independent research is just that, being independent, and having the opportunity to do the hands-on research myself."